Big Cinema multiplexer Review is very popular multiplexer cinema in kanpur . It is very well-known cinema in kanpur nagar. The sound quality of this theater is very good. It has hall modern facility which is required.It has very comfortable seat which realize you very comfort.It is located on very good place.people can reach there very comfortably.This multiplexer is very popular among the people. 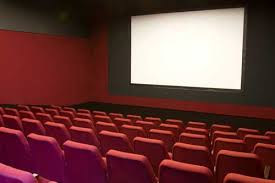 You can also book ticket through telephone or online.People can easily book their movie ticket effortlessly. It is also located very busy road of the city.